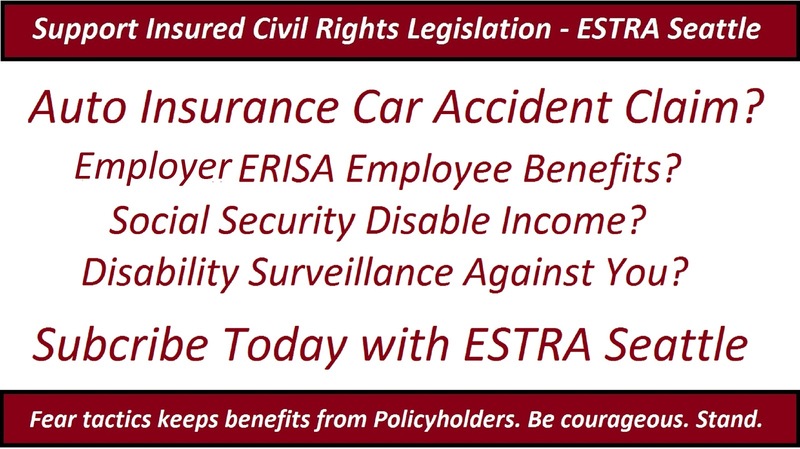 ESTRA Seattle Official Car Accident Blog: Can we trust American Leadership to protect us? Can we trust American Leadership to protect us? 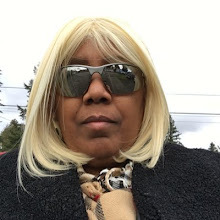 ESTRA (Seattle) - Last Friday, #TheMuellerReport was presented to #DepartmentOfJustice, #HouseOfRepresentatives, Senate, both #Republicans and #Democrats. For over the past two years, Mueller's Team has been investigating whether #TheTrumpAdministration was involved in 2016 Election scandal of #Russian involvement to give Donald J. Trump the upper hand by hurting Hillary Rodham Clinton's chances to become President. And now the day of reckoning has come. Or has it? During and after the 2016 Election Process, each day Mainstream Media has spoken about the actions of Donald Trump, his family, and his Administration. Prior to Democrats being elected to the House in 2016 the Republicans did hardly nothing to protect this country. This is evident by the crisis our country is now facing of low wages, lost homes, lost jobs, hunger, insurance policyholders dealing harassment, intimidation, denied and/or delayed benefits/settlement, while Wall Street is running the country rather than Congress. Self-interest has surpass country protection and concern. As these next few weeks becomes a circus regarding The Mueller Report, take a moment to consider what is really important to most Americans. Will you be lead down the "drama trough" to believe what you are told or analyze what you are seeing and hearing for self? Far too often self-righteousness has become the latest way to choose our destination, but is this right? How have we gotten so far off the path of integrity and justice? Has greed infected us all? Or has it been the desperation most citizens face everyday because of the bad ethics of a few? Don't fall for the most recent games people play. We as citizens have too many issues to address at this time. Far too many are being manipulated for the pleasures of a few. 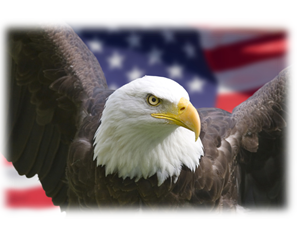 It's time we Americans remember who we are and what we stand for as people. Choose to be a part of The People who care about each other and will choose to elect the next President not from being lied to or manipulated, but from a perspective of adults, not children who can be lead by manipulation as with 2016 Election. It is your choice. Stay awake against those who want to steal your vote and your mind. We are smarter than this and can recognize game. 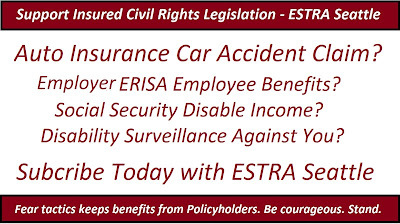 Insured must also learn about many of these same tactics that have been played for years when filing Insurance Claim, whether this is with Auto Insurance, ERISA by Employers, Social Security Disability, Public or Private Surveillance use to harass, intimidate, and constant abuse to discourage follow through. The common sense we have must again protect our country in problem areas where you have interest. Otherwise what most people will have left is no money, bad climate, and a homeless country. We need to stand up and fight back because we matter and deserve more than abuse and manipulation. Can we trust American Leadership to protect us? Personally, I believe this is the time we must protect each other because Wall Street interest is about making money for self. 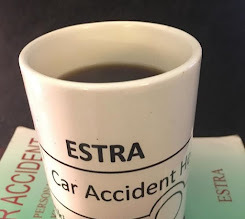 If you are in a car accident this year, don't lose hope, don't become fearful, don't feel you don't know enough to be your best advocate, try ESTRA 2019 Car Accident Weekly Planner. Order your copy of ESTRA 2019 Car Accident Weekly Planner now.